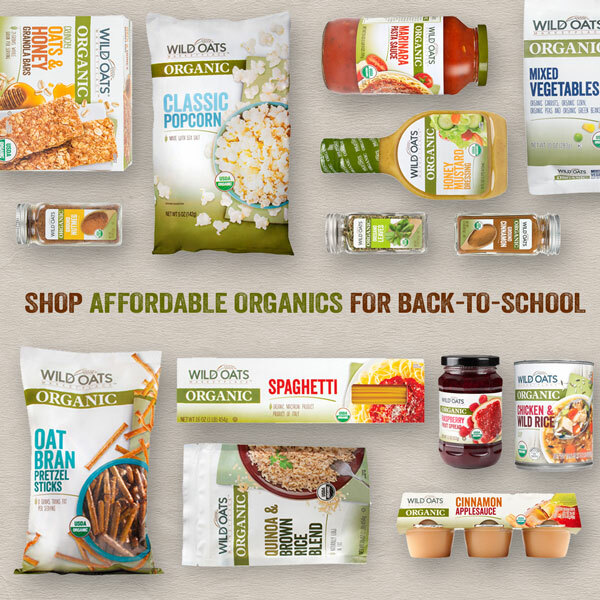 I'm sure most of you are familiar with one of the newer organic kids on the block, Wild Oats. If you aren't, it's time to meet them and learn everything you always wanted to know about organic food. Oh, I almost forgot the best part! AFFORDABLE organic food! You can find Wild Oats in Walmart stores near you. Wild Oats has a list of banned ingredients so you know that every effort is made to develop products with the shortest and most simple ingredients for our families. What's not to like? Everything from applesauce to dressings to granola bars to pasta to frozen fruits and vegetables and everything in between can be organic and CAN be affordable! If you haven't already entered the #WildOats4SchoolContest, you still have a little time. But, hurry and share your best Wild Oats back to school recipe ideas, after school snacks, whatever you create using Wild Oats products for back to school and you could be one of 3 lucky winners. 3 winners will receive a $100 Walmart gift card and $100 worth of Wild Oats products! If you haven't already entered your most creative, back to school photo, enter here!